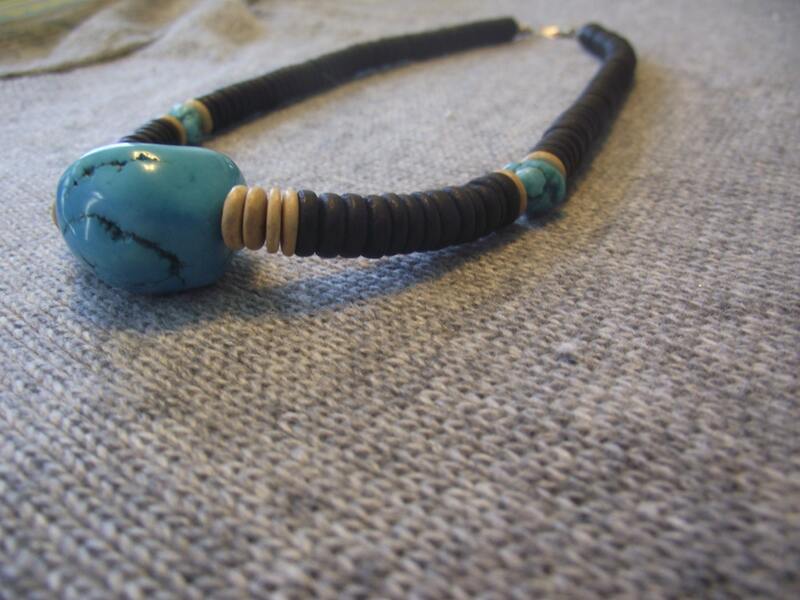 Turquoise stone statement necklace !!! 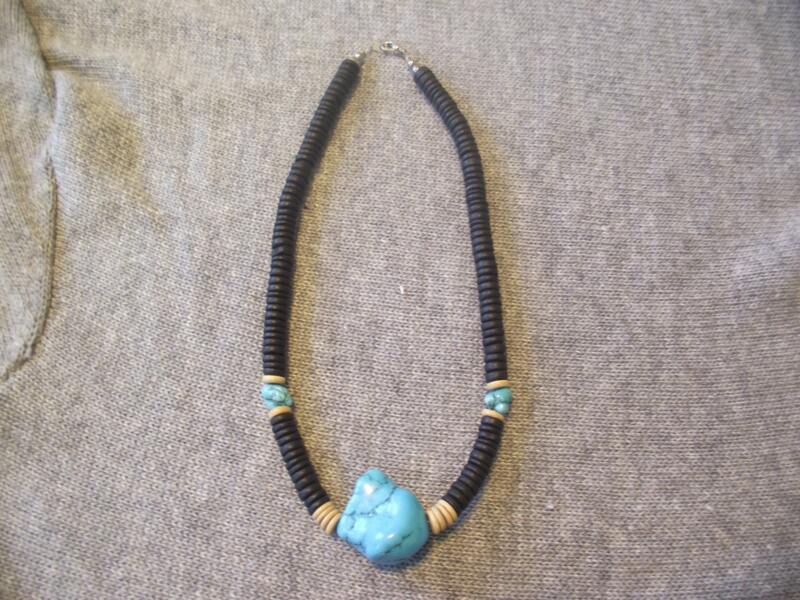 Also with shell beads. Claw clasp. Closer to choker size since it is 17 inches long.